Street food always makes everything better in my opinion! 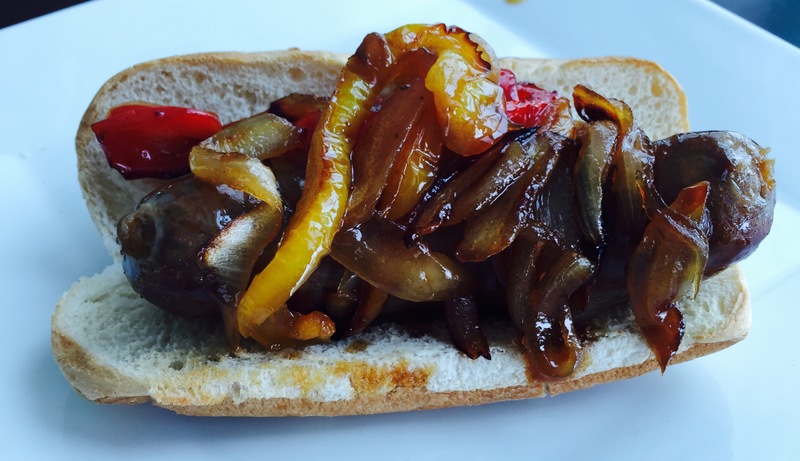 And what is a more popular street food than Sausage and Peppers?! 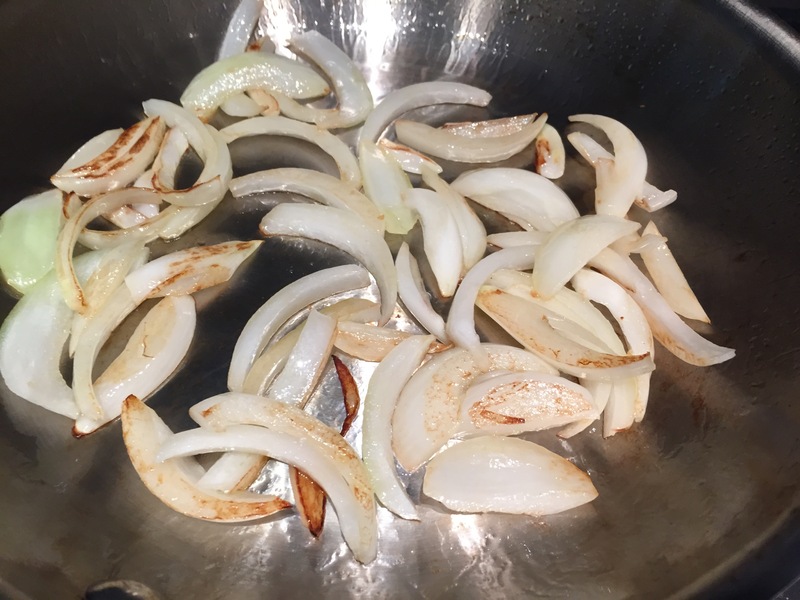 I know when you are walking down the street and smell that sweet smell of onions and peppers cooking up, it’s hard to keep your tummy from grumbling. 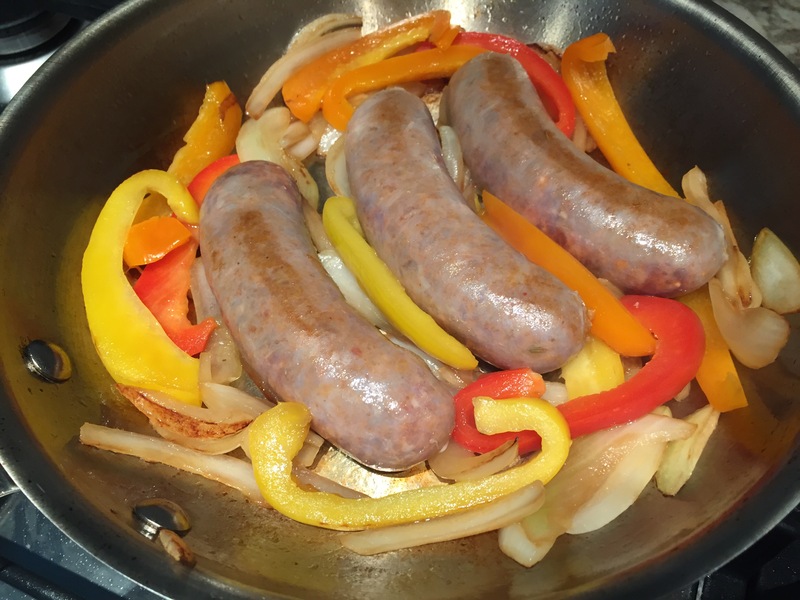 Well whenever we have a hankering for Sausage and Peppers, I use this recipe and I’m always happy that I did! It doesn’t require a grill, which is key since I like eating Sausage and Peppers in the winter, and definitely won’t be standing in the snow to grill! 1. Slice the onions and bell peppers into 1/4 inch pieces. 3. Add the vegetable oil to the pan and once hot add the sliced onions. 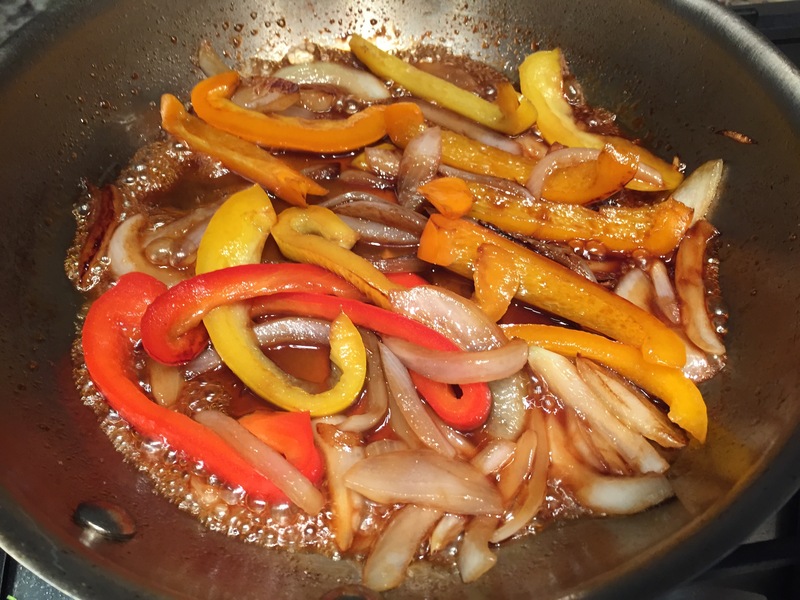 When onions start getting some color, add in the sliced bell peppers. 4. Once onions are browned well in spots, add the sausages and brown on both sides. 5. When both sides of the sausages are browned, add the vinegar and sugar. Allow the sugar to dissolve and turn off heat. 6. Cover the pan with foil and place into oven and cook for 15 minutes. Then remove the foil and flip the sausages and cook for an additional 12 minutes. Flip sausages once more and cook for 3 more minutes. Sauce should be thickened and caramelized. (If sauce is not thickened, take your pan and put it on the stovetop and turn heat onto medium high and cook for a minute or so until thickened). Toast your bun, add your sausage and peppers, and go back for seconds! Next Post Adopt don’t Shop!